A NATURAL GLOBAL warming event that took place 56 million years was triggered almost entirely by volcanic eruptions, new research has found. The eruptions happened when Greenland separated from Europe during the opening of the North Atlantic Ocean. The findings by a team of researchers at the University of California, published in the Nature journal, prove that the event – called the Palaeocene-Eocene Thermal Maximum (PETM) – was caused by the release of carbon from sedimentary reservoirs such as frozen methane. “While it has long been suggested that the PETM was caused by injection of carbon into the atmosphere and ocean, the mechanism has remained elusive until now,” Ridgwell said. By combining geochemical measurements and a global climate model that my group has been developing for over a decade, we have shown that this event was caused almost entirely by carbon emissions from the Earth’s interior. While there was a large amount of ecological disruption during the PETM, most species were able to avoid extinction through adaptation or migration. However, the rate of carbon addition during the PETM lasted for several thousand years, as outlined in a relation Nature Communications paper by Sandra Kirtland Turner, an assistant professor of earth sciences at the University of California. To find the source of carbon during the PETM, the researchers studied the remains of tiny marine creatures called foraminifera, the shells of which shed light on the environmental conditions when they lived millions of years ago. By separating the different atomic masses – isotopes – of the foraminifera shells, they tracked how the pH of seawater changed during the PETM. By combining this data with Ridgewell’s global climate model, the team deduced the amount of carbon added to the ocean and atmosphere and concluded that volcanic activity during the opening of the North Atlantic was the dominant force behind the PETM. “The amount of carbon released during this time was vast – more than 30 times larger than all the fossil fuels burned to date and equivalent to all the current conventional and unconventional fossil fuel reserves we could feasibly ever extract,” Ridgwell said. “Studying the PETM helps us understand the mechanisms that aid recovery from global warming, thereby helping researchers reduce the uncertainties surrounding the Earth’s response to global climate change. While it is encouraging that most ecosystems were able to adapt during the PETM, today’s global temperature could be increasing at a rate that is too fast for plants and animals to adjust. Email “Volcanic eruptions were the driving force behind an ancient global warming event ”. 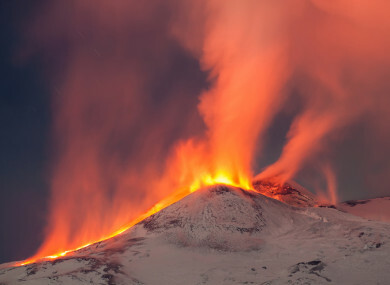 Feedback on “Volcanic eruptions were the driving force behind an ancient global warming event ”.